And Now They’re Rebooting The WRONG TURN Franchise | Birth.Movies.Death. Five sequels and fifteen years later, it's time to head back to West Virginia. 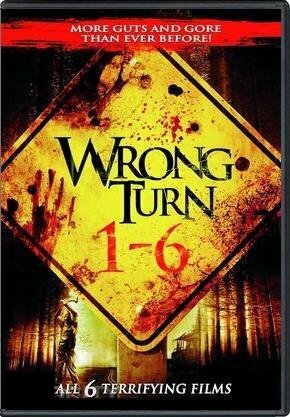 As of this writing, there have been a total of six Wrong Turn movies. They're rebooting Wrong Turn, because six movies wasn't enough. That's right: Wrong Turn, the "Beware the inbred cannibals hiding in the woods" franchise that launched all the way back in 2003, is the next horror franchise to earn a reboot/remake. The news comes to us from Deadline, who add that franchise creator Alan McElroy will write the script, while Mike P. Nelson (The Domestics) will direct. I'll be honest: Wrong Turn's just about the last recent horror franchise I expected to get a reboot. For one thing, with six films under its belt (the last one arriving as recently as four years ago), it kinda feels like the series has said all that needs to be said about being murdered and eaten by mutant cannibals in West Virginia. 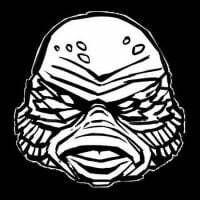 For another, my current prediction is that, if anything, we're on the verge of a slasher renaissance; if I was expecting any horror franchise to announce a reboot today, I would've guessed Friday The 13th or Nightmare on Elm Street. "The updated version is described as a timely and topical meditation on society and its issues. A cross-country hiking expedition puts a group of friends in the land of an inclusive society, where they soon discover they are under a different rule of law, and may not be the victims they thought they were." What do you folks think? Into a Wrong Turn reboot? Bored at the very idea of it? So unmoved that you can't even be bothered to comment? Sound off in the comments below, and stay tuned for further updates on this one as they become available.